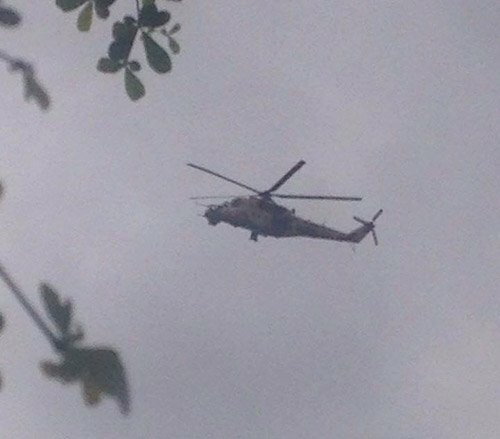 The Nigerian Military has continued the aerial bombardment of Fatola, the hideout of militants and pipeline vandals in the Arepo area of Ogun State. A fighter jet fired missiles at the Iroko creeks, leaving no fewer than 100 suspected militants dead and their camps/shanties destroyed. Residents were caught unawares and had to run from their homes to avoid being hit during the bombardment. The Director of Defence Information, Brigadier General Rabe Abubakar confirmed the air strikes. According to him, the joint operation will continue until the area is secure and free from all criminal gangs, either militants or vandals. However, he didn't ascertain the number of casualties from the strike.